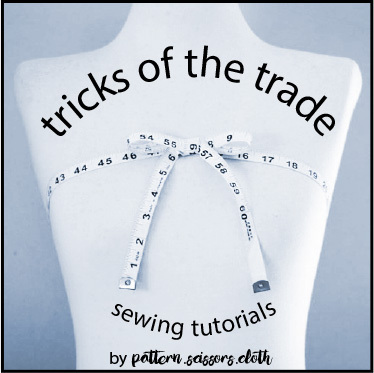 The dress I am making at the moment, Butterick 2669, has one of each of the main dart types – so time for more tricks of the trade – about darts! Our flat pattern and fabric are only two dimensional, but with darts we introduce a third dimension so garments fit our body curves better. 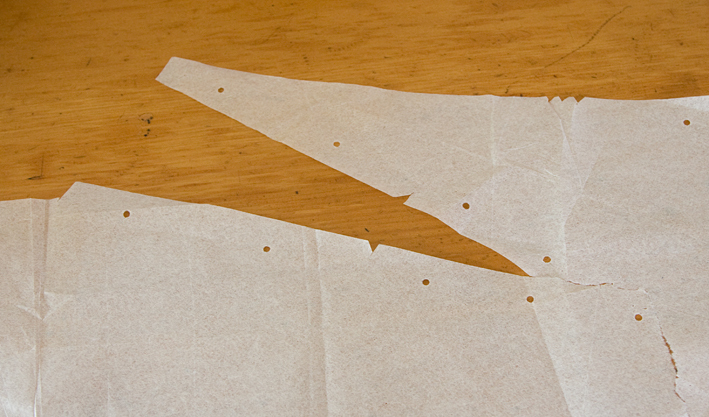 Darts usually come first in garment construction – they are much easier to do on a flat piece that is unattached to other pieces. 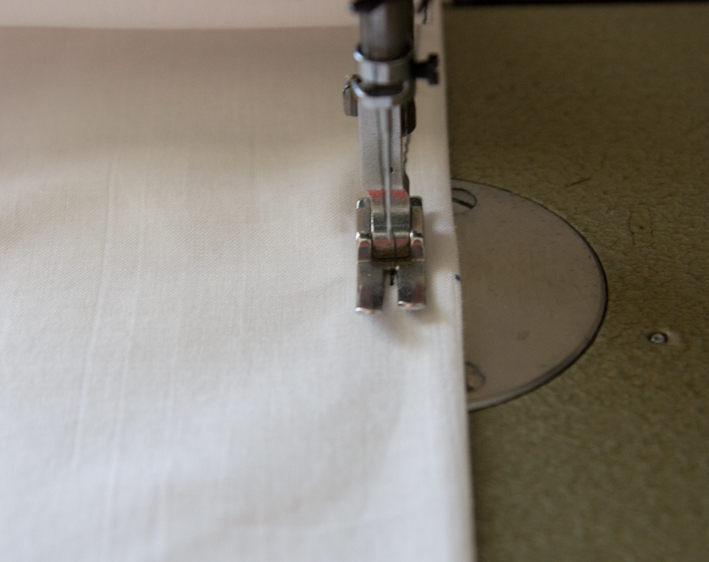 As you taper, don’t be afraid to use the handwheel on your machine if you get a neater result – it’s not cheating! You can shape your dart to your own body contours. If you have a ‘sacral scoop’, then make the back darts on your skirt slightly concave to match. If you have a prominent high hip, make them slightly convex. 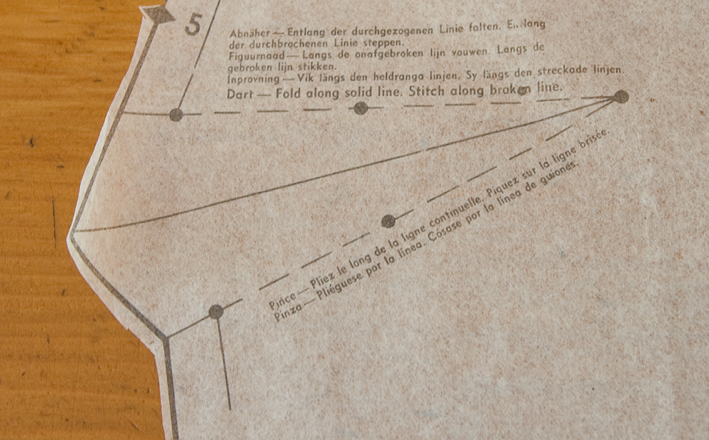 Try to backtack inside your stitching line where possible. In fine fabrics backtacking may not be the best way to finish – leave long threads and handsew them back down your stitching line instead. For side bust darts, you might like to read Bust Darts – Up or Down? They’re a bit different aren’t they? 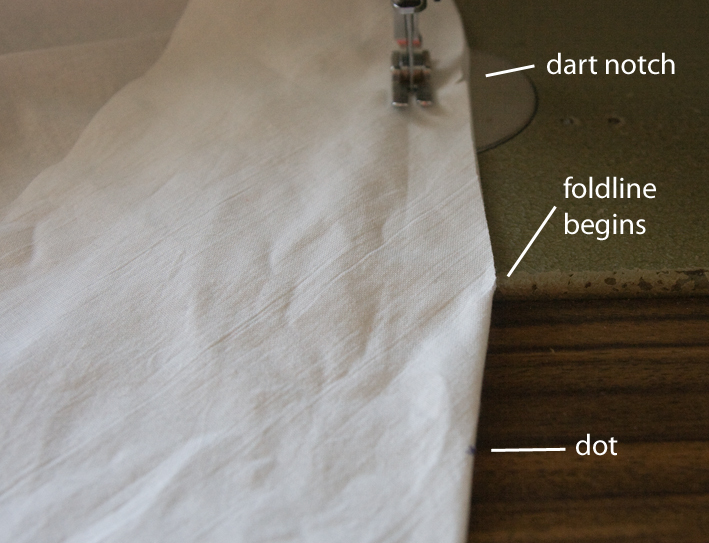 In manufacturing we make it easier by marking dots on the foldline of the dart, not on the dart legs. 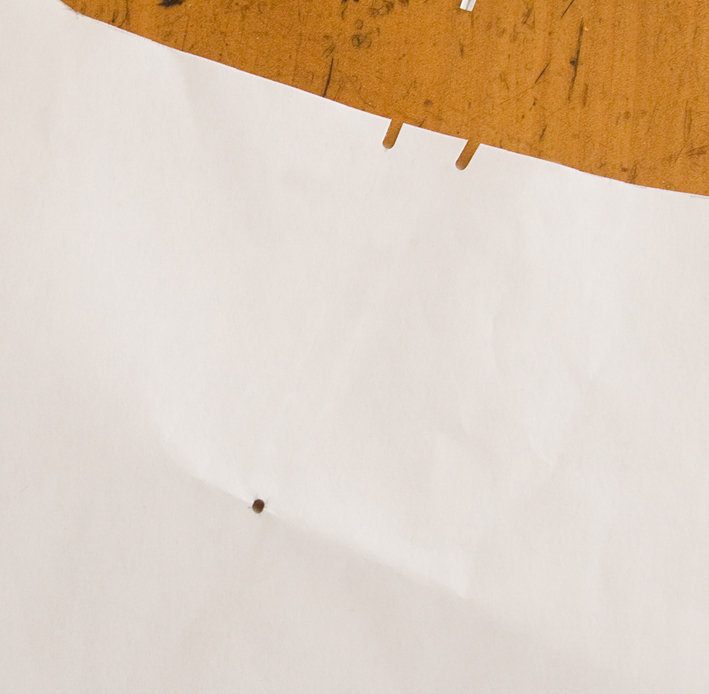 In actual fact the cutter drills tiny holes at these points, and they become enclosed within the dart once it is sewn. But because home sewers don’t a) have a drill in their sewing cabinet, or b) have their dart point necessarily confirmed, it is best just to mark it with chalk on the inside. 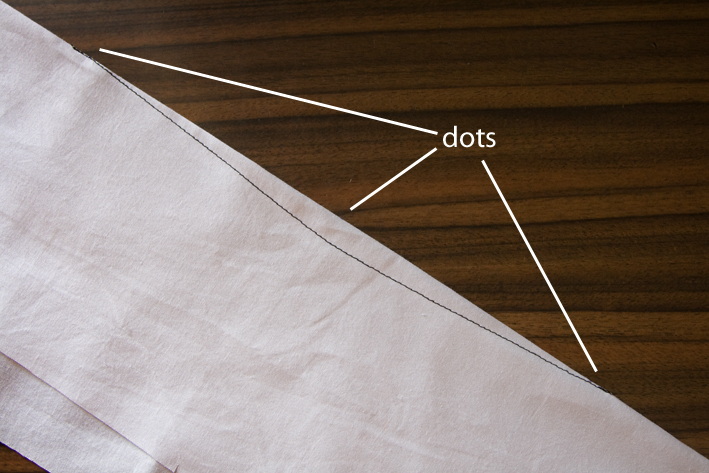 This way you don’t have to fuss around overlaying dots and pinning pins, you just start, well – sewing! 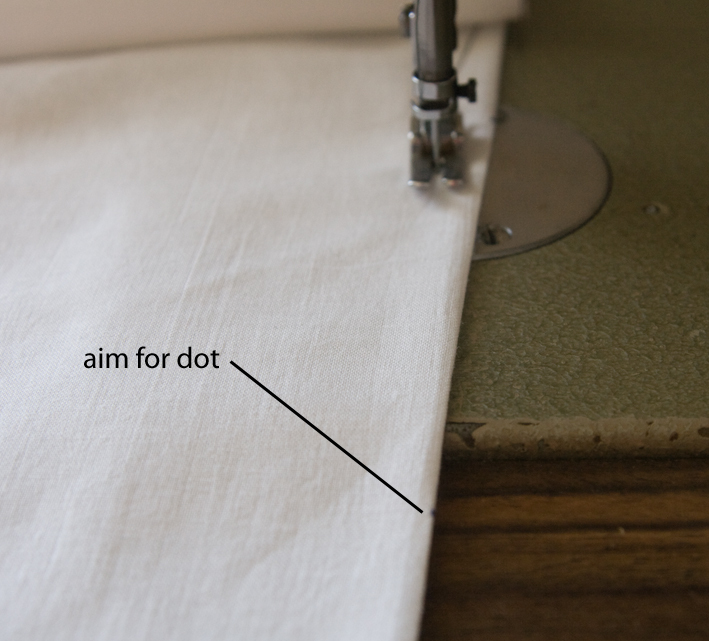 About 2cm from dot begin your taper, finishing 1cm (or 1/2″) past the dot with a backtack. Look how inaccurately placed the dots were on the original pattern! 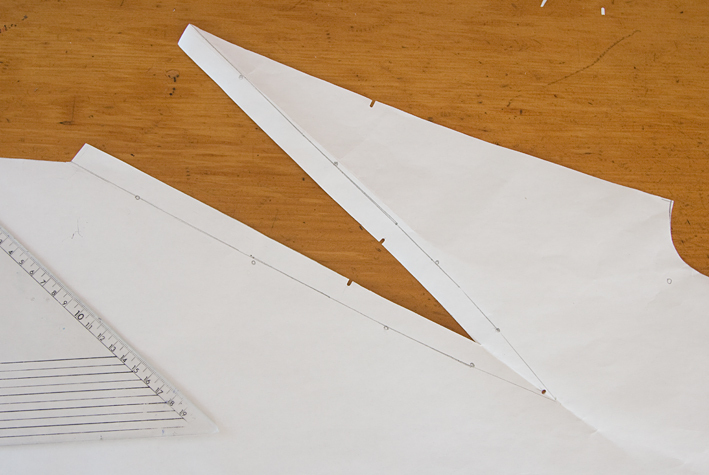 Measure the widest intake and halve it – you’ll need this figure when you sew your dart. 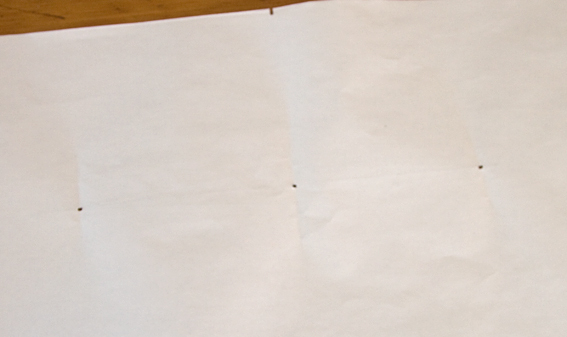 This dart has 1″ suppression, so I will sew it 1/2″ from the foldline. Clip only if necessary. I don’t generally clip darts under 1″ total suppression – but I use mainly natural fabrics that press easily into shape, disobedient fabrics like polyester might need clipping. 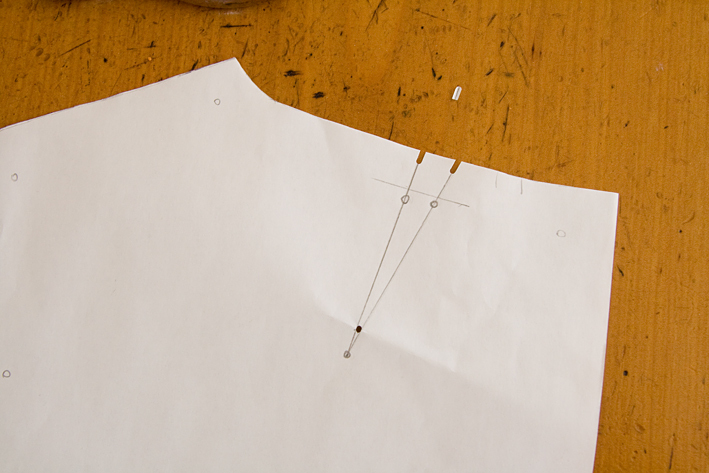 Clip only where necessary – a French dart is on the bias and the allowances press easily into shape, so only considerable curves or fabrics like polyester will need clipping. Or, the dart intake may be cut away as in a French dart, to provide a guideline for sewing. Simple eh? In manufacturing everything is stripped down to the bare essentials – but once you have sewn a few darts, the bare essentials are all you need! As you can see it takes just a moment to convert the pattern markings, and I find this method much quicker when cutting, marking and sewing, with no loss in accuracy. Give it a go! Thats all for now – Enjoy your sewing! Awesome tutorial. Will be sharing it with my beginner sewing daughter! wow, what a fantastic post. I really appreciate your tricks of the trade. have you seen recent article in Threads mag. regarding changing the shape of contour darts – moving the widest part closer to the top of the dart? 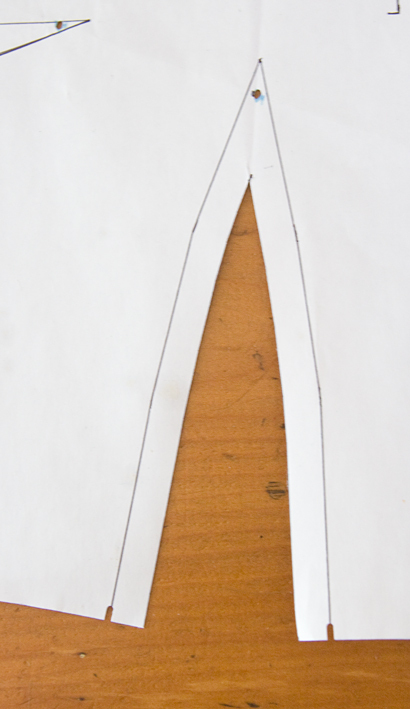 this change makes the narrowest part closer to the underbust instead of at the waist, an interesting idea. ~Beth – it sounds like they are suggesting what is shown in the 2nd last photo? In my experience the underbust suppression is often the same width as the waist suppression at the front. Você é um anjo, eu estou justamente lutando com os dardos de uma saia que não querem acentar. Than you so much for this, I have learnt so much! 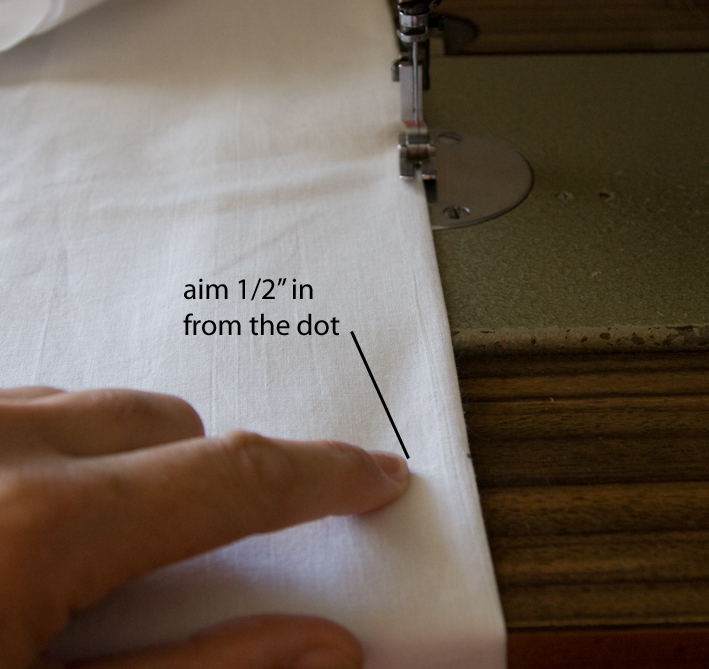 Oooooh, an easier way to mark and sew darts – I likeee! Thanks for all the details and illustrations. Thanks so much Sherry – you post has exceeded all my wishes !! 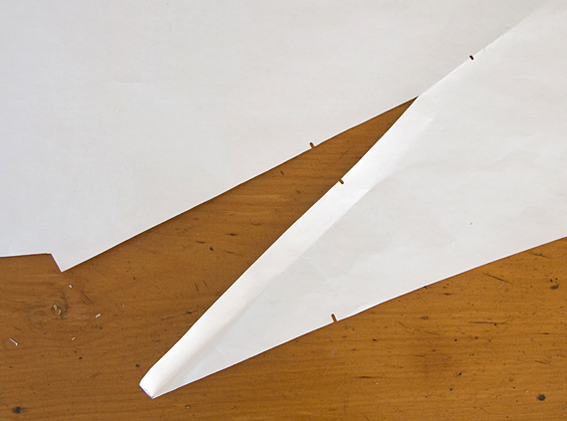 And I know what that totally enclosed inside dart is called now – a contour dart. 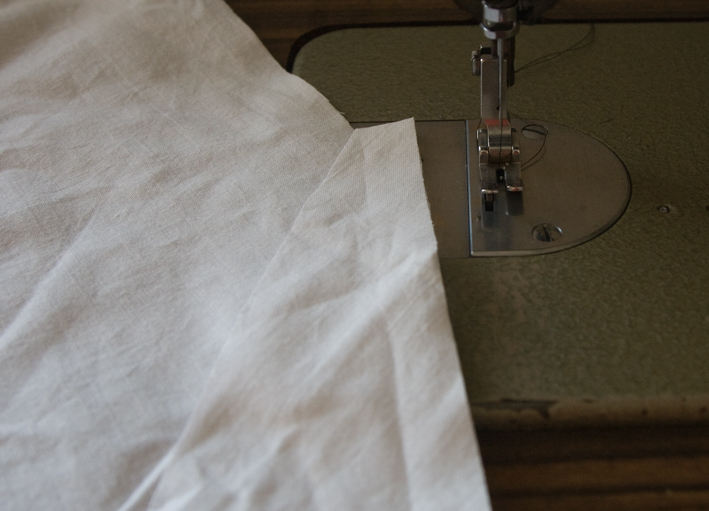 Thanks for the insight into production line sewing, of course these high volume operations aren't doing laborious tailor's tacks on each of the 500 skirts they sew in one day. In the absence of a drill, I'm wondering if I can burn a little hole using a lit incense stick ?? I may have to experiment. ~lore – just for you! By the way, don't set the house on fire – chalk pencil is fine! I really really enjoy your tutorials – they are so helpful. Thank you for taking the time to construct them and sharing with us. Very interesting and comprehensive – thanks so much!! Wow, thanks so much for these tips! Very useful tips. Thanks so much for your time and effort. Thanks for such a great post – this was really interesting. 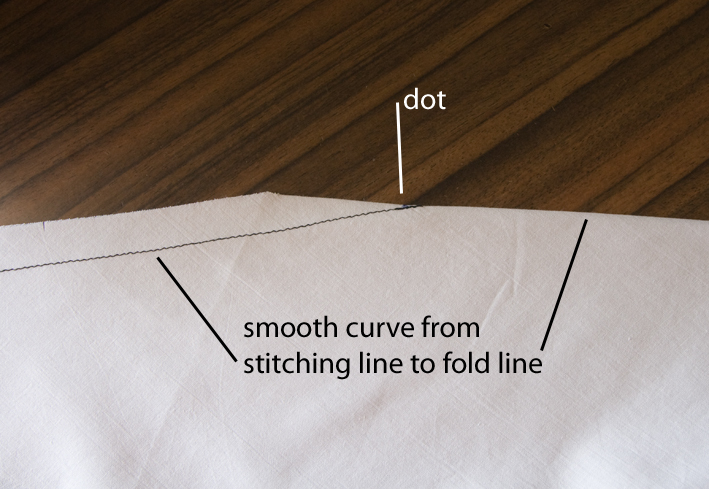 I was particularly interested to see that you sew a smooth, curved line for contour darts rather than sew to middle dot, pivot, sew to other end…which is what my sewing teacher taught me! Smooth curves make so much more sense!!! I've been making my pattern darts like this for quite some time. 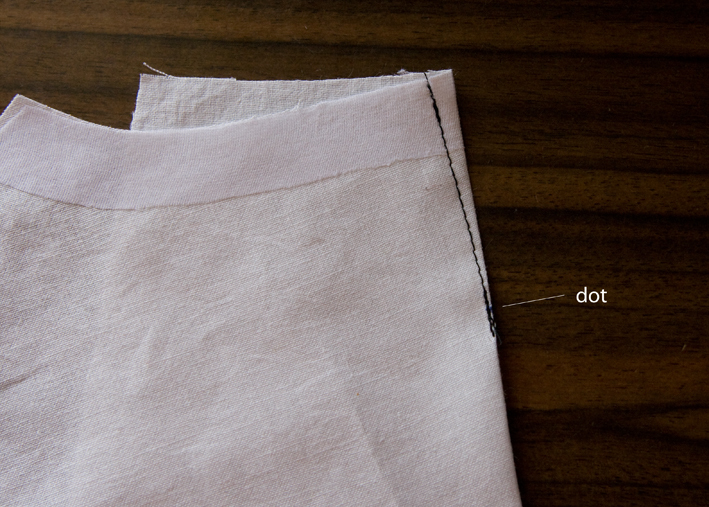 I make the little hole using an eyelet buttonhole cutter. 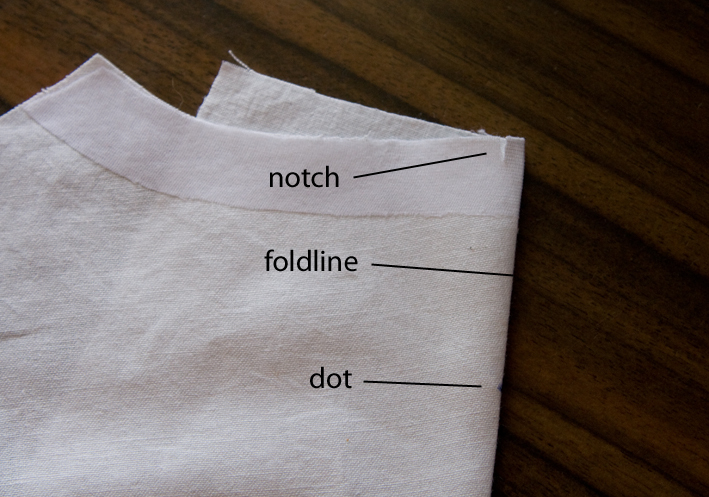 Since I don't drill the holes into my fabric, I use a China marker (wax pencil) to mark the dot on the fabric. Works like a charm! 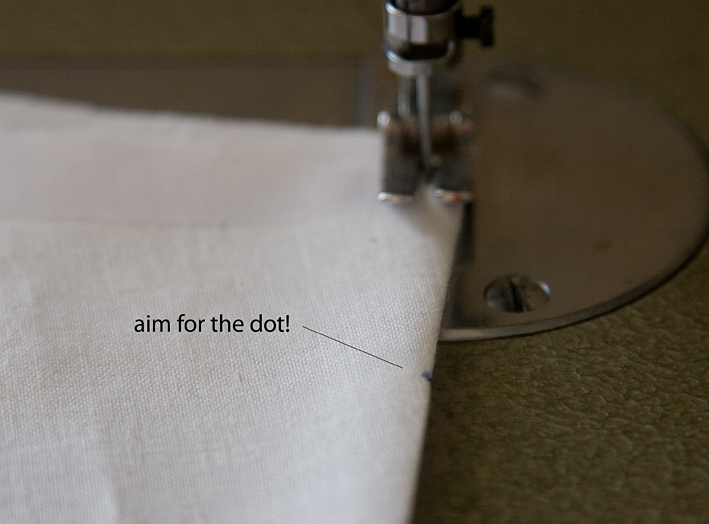 Thanks for the tip about aiming for the dot and then tapering to the apex. I had been aiming just past the dot, but I think your advice will work out better. THanks for taking the time to write all this. Very useful. Thanks! Sherry, thanks for this post, just saw it, I thought I was following you, but didn't see anything in my reader, so now I got that straighten out. It's so funny you did this post, I was in the middle of writing an email to you about this very subject, darts! I hadn't sent it yet because I wanted to send pictures. Anyway, thank you so very much!!! I am so thankful for this blog you are writing! It's one of the best I have ever come across. Such excellence information! is there any set-in-stone rule about how much the dart intake should be? ~Anonymous – every dart shapes a different area of the body so there is no absolute rule. There are 'average' intakes, for instance a front skirt dart is usually 2cm. But it all depends on the body shape you are fitting, for instance a person with a small waist might require a larger skirt dart, or a D cup requires a larger intake than an A cup. I'm so glad I've found you! Thank you! some other questions about darts- what are the guidelines about which way a vertical dart should be pressed? and I love french darts- when are they best used and when not? 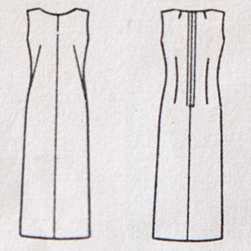 ~Kimbersew – Vertical darts are usually pressed towards the CF/CB – if you look at a garment front-on, it is less visible. I love French darts too, and can't think of any specific reason when to use/not use them. They are trickier to sew as they are bias, but they look so nice combining the bust and waist darts into one. Hi Sherry, what a great way to mark and sew darts. No more trying to get those leg dots to match! lol. I just have one question please – when you say taper, which way are you tapering? Curving in towards the edge like ) or away (. I can't see it curving one way or the other, just going straight to the edge. 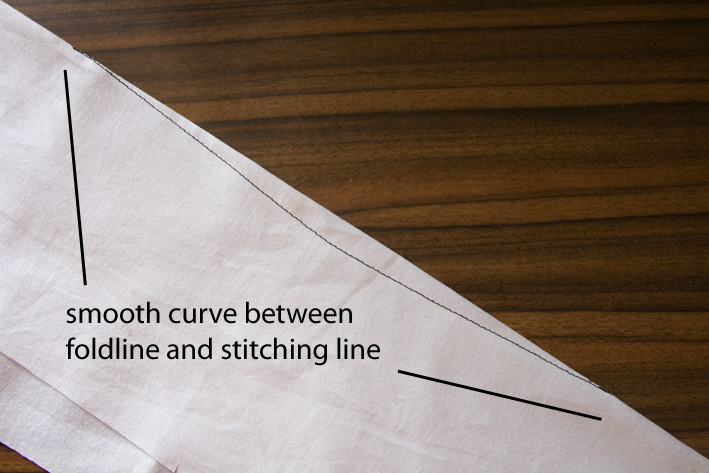 ~Vicki – the taper is very slight – at first you aim straight for the edge, and as you approach you curve slightly away from it – so there is no angle between the stitching and the edge, but a gentle curve instead. sdBev -sorry Google is blocking some of my logins. I've heard it happens to others as well. I have searched and it is very hard to find good information on French Darts. 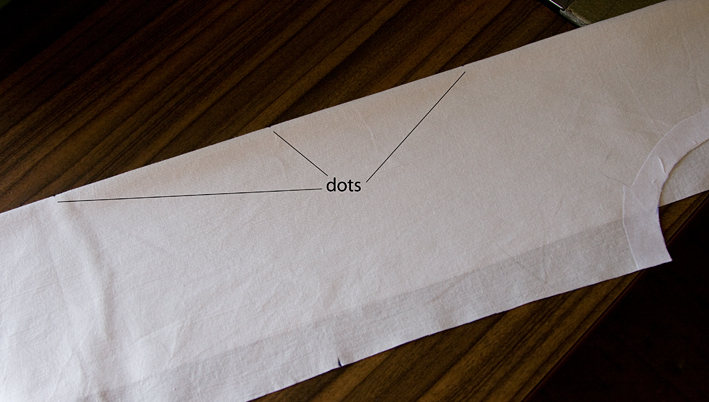 I am working on a pattern and it appears the dot for the end of the dart is not on the pattern piece. As you've instructed should my dot “end 1cm short of the apex on the foldline”. 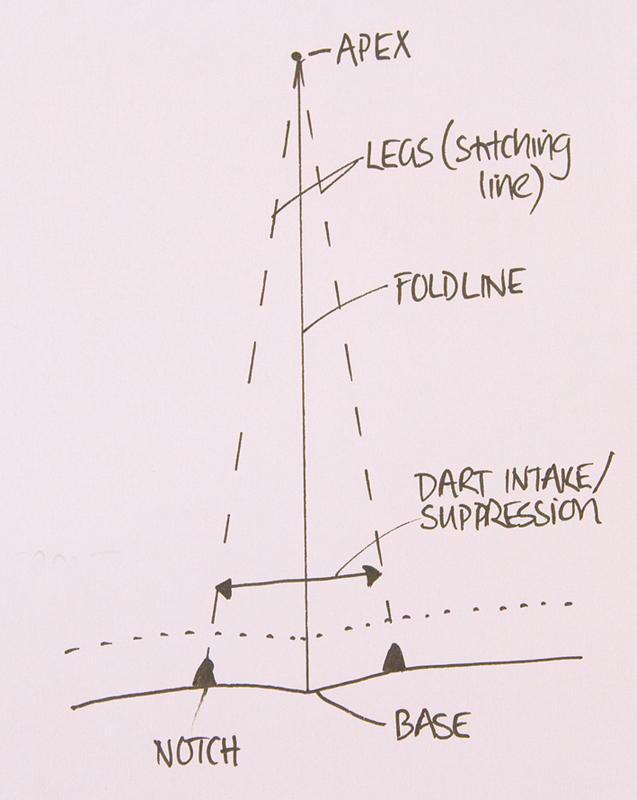 Hi Ann – the dot should be on the dart foldline, but 1cm short of the dart apex – this is because in the industry the dot is often drilled, and so the final stitching encloses the hole. Most commercial patterns have the dot exactly on the dart apex. The dart apex is usually 2cm from the bust point to avoid a cone shape, but we know how much the bust point position varies from person to person – and from undergarment to undergarment too! The position of the dart apex does need to be adjusted to suit your figure and undergarments – one of the benefits of sewing your own clothes! I did work it out and your information was very helpful. Thank you for posting this very helpful tutorial! It's just in time, too, as I just started making a sheath dress and was petrified of fisheye darts. Thanks for posting this. I learned a lot especially about the contour dart. And I also, have noticed inaccuracy with dart markings on patterns. I will be referring back to this post in the future. Wow! I have that dress! I have a very early (possibly the first) edition of it (I've seen that it was re-released a couple of times since. I made it about a month ago and similarly changed the darts to better suit me. If only I'd seen your post back then as I'd have known I wasn't in it alone. Thanks so much for your brilliant discussion of darts. Just what I needed. I”ve been reading your post about sewing french darts and find it very helpful, but I have one additional question. On a Sagers pattern (sweater set) the french dart ended right at my apex – which I didn't like. I lowered the dart, which makes it a steeper dart. 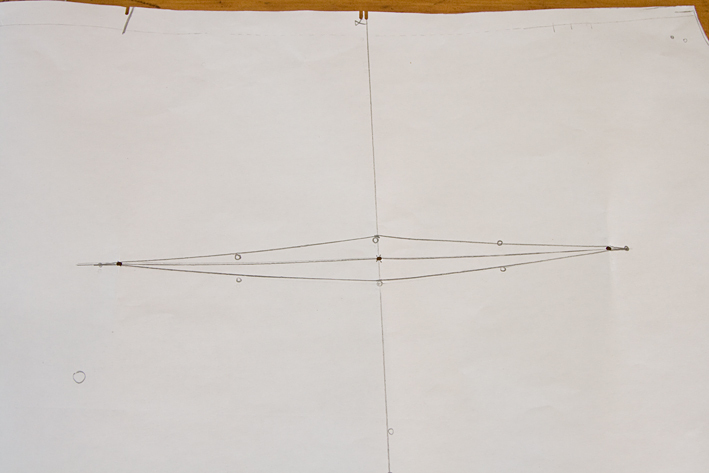 If I read your instructions correctly – I would lower the dot since I lowered the dart and then I would maintain the 3/8″ s/a all the way to the foldline of the dart and then curve towards the dot and off the end at that point? 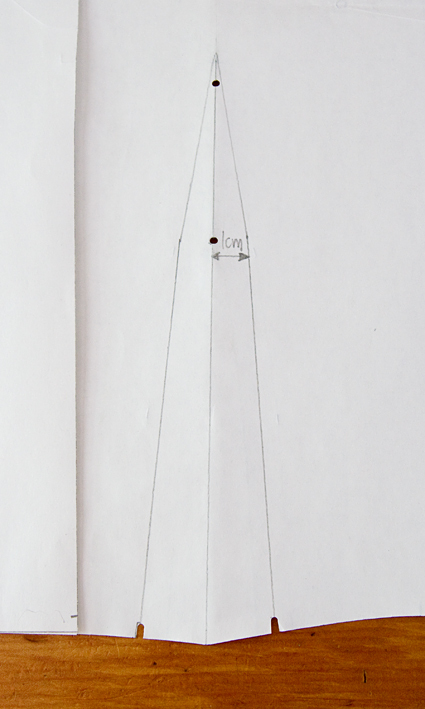 Since I did shorten the dart – should I lengthen the space between the apex of the dart and then dot to which I sew? If so, by how much? I'm sewing a knit and I am fairly new to sewing with knits. Should I be stabilizing the fabric to keep it from stretching? This is so smart. Thank you!